Yup, I’m way beyond part 2! 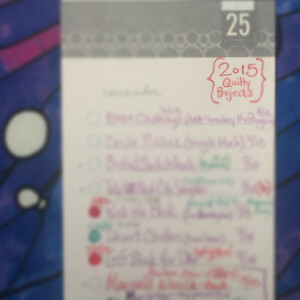 Another quilting retreat and finally, I can see the light at the end of the tunnel. Everything is relatively square border-wise, though on corner is still a little wonky ~ Ah well! On to the next burning decision: to “prairie point or not?” After a little research, I find a tip for continuous prairie points and augment it with pairs of points to create a scrappy look befitting my design. They are remarkably easy to assemble (though I hit a snag sizing them), and I zip up the points and painstakingly press throughout Friday night. It’s maddeningly tedious work, but every time I set a strand of triangles to a border, my excitement bolsters my resolve to continue throughout the following day. After the dinner break on Saturday, I finally ‘pillow-top’ the border. Another Autumn Retreat in Marin brings the saga of my ‘Labor of Love’ Heart quilt closer AND (sigh) further from completion. Let me start by saying that I almost finished the backing Saturday. 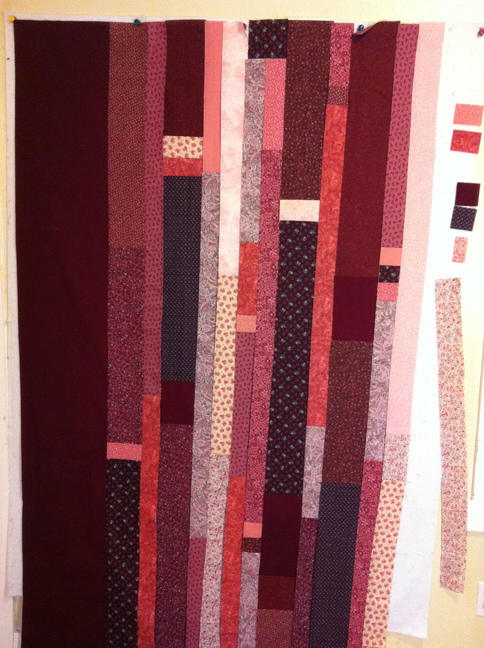 Seems I only had a 24” x 95” piece of the burgundy left, so I split it for the two outside borders and pieced the middle with all the leftover 3-6” strips. It looks so nifty and could be a quilt on its own. 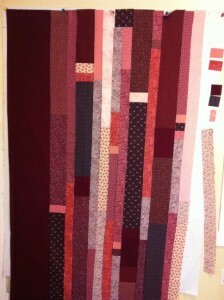 Other quilters would say I was crazy to be putting so much work into a backing, so I decided this would be reversible! It’s a traditionally pieced design on one side and the modern stripes on the other. Yeah, I’m crazy.